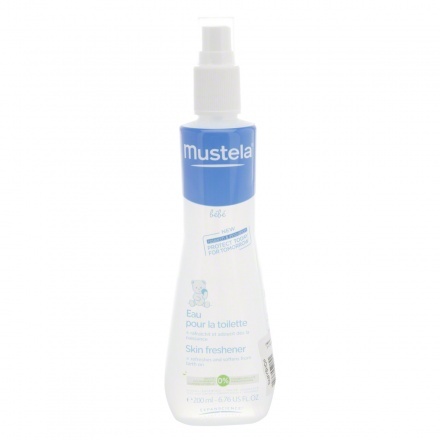 Keep your baby smelling fresh and clean using this skin freshener from Mustela. It leaves a delicate fragrance on your little one's skin and wipes out the bad odour. It can also be used to gently rinse-off cleansing milk and keep the skin refreshed.